* price per person, based on 2 people sharing a room. Single supplement, if applicable: £350. Prices do not include flights. Small group travel: maximum group size is 14 guests. Some walking involved – you should be able to walk 2 kilometres without difficulty. Stay in Istanbul, before your tour. 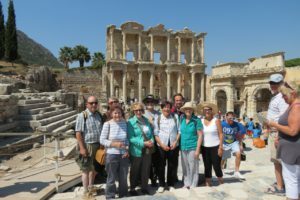 Our “Treasures of Turkey Tour” is a 12-day journey through Turkey which takes as its theme some of the most most important Classical sites in the Eastern Mediterranean in addition to some of the lesser known ones. Accommodation is in boutique-style 3 or 4 star hotels throughout and all evening meals and entrance fees are included. Please note: this tour does not include Istanbul in the itinerary – however, we very much receommend that participants spend a night or two in Istanbul, either at the beginning or at the end of their stay. We can provide assistance in booking this. Bursa was the capital of the nascent Ottoman State between 1335 and 1363 and still retains some fine examples of early Ottoman architecture. Our visit first takes us to the Ulu Cami mosque, before we take time to explore the extensive bazaar district of the city. Later we visit the Hısar (fortress) district with its fine views over the city of Bursa. In the afternoon, we leave the city to visit to the Uludağ mountain and take a cable car ride up its slopes. In the late afternoon we return to the city and there is a chance for a rest, or some extra shopping before supper. Evening meal and overnight in Bursa. 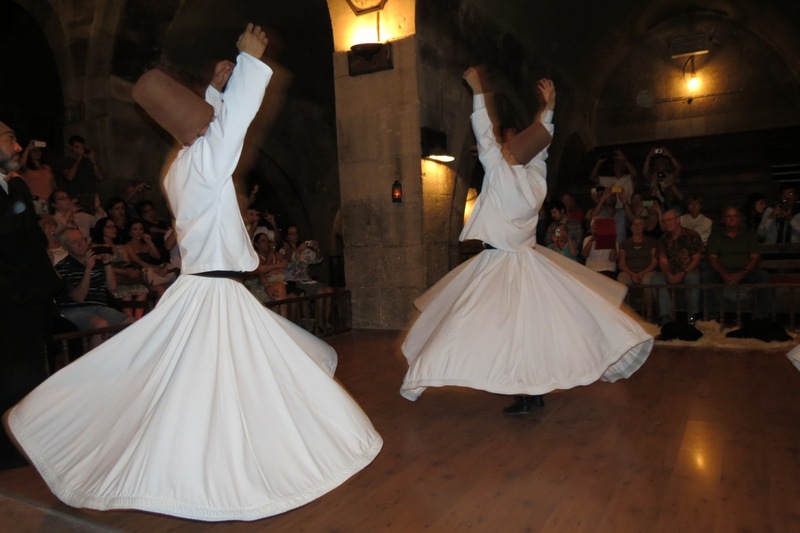 We depart Bursa in the early morning and travel 15km to a small, picturesque Turkish village that retains many of the characteristics of an Anatolian village from a hundred years ago. In the afternoon, we drive to Çanakkale (4 hours) – a handsome town on the southern shore of the Dardanelles. From our hotel, we can watch the shipping plying through this narrow neck of water and on the far shore, we see the Gallipoli peninsula that we will visit the following day. Evening meal and overnight in Çanakkale. 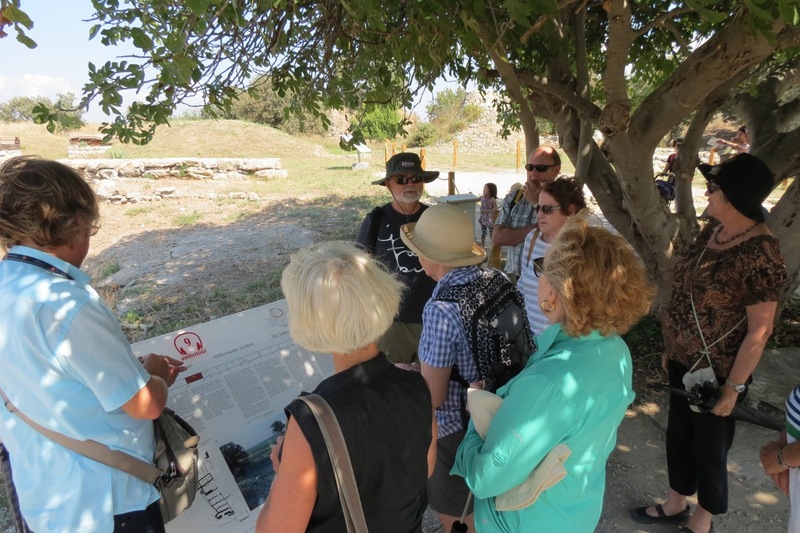 Today we will visit the moving – and at times overwhelming – WW1 battle sites in Gallipoli. We see the cramped landing sites, the monuments to the fallen as well as the trenches from opposing sides often just yards apart. 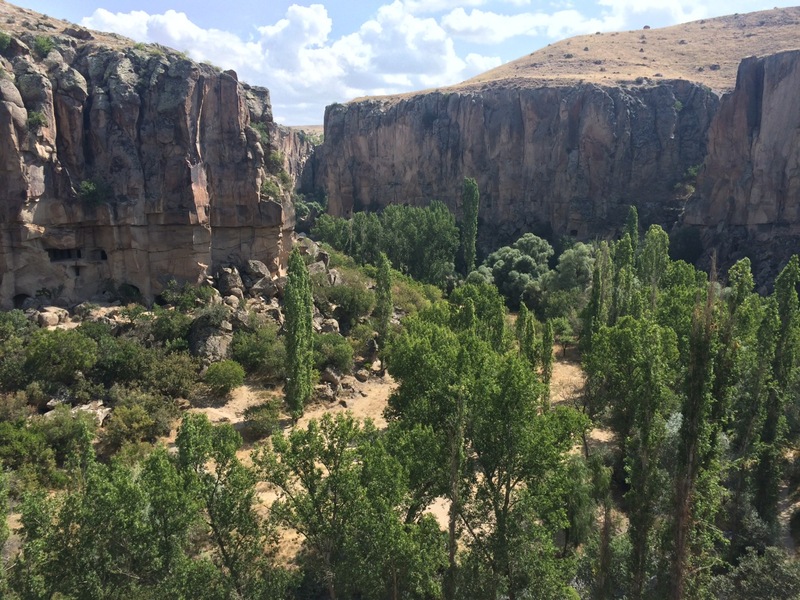 We also visit the charming Historic National Park of the Gallipoli peninsula. 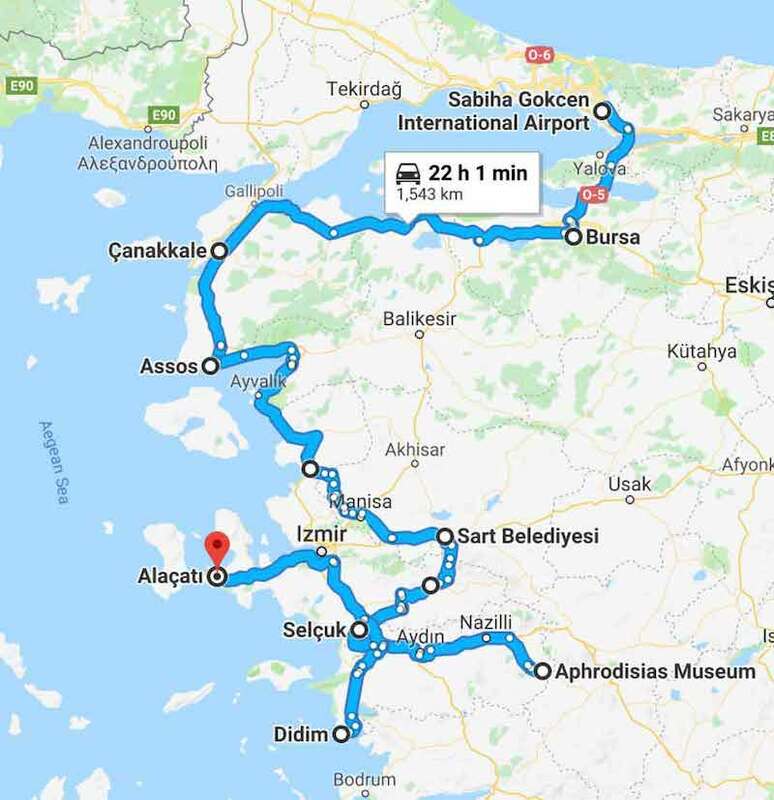 This morning, we depart Çanakkale for Troy – undisputably one of the most famous ancient cities in the world and few archaeological sites have the power to stir the imagination. 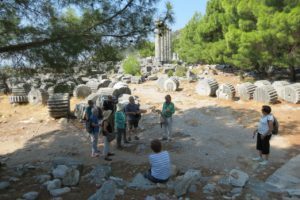 Recent excavations have transformed the visitor’s experience and nowadays it is possible to visualise, perhpas the dual between Achilles and Memnon fought out on the plain below or maybe the Achaeans sacking the city and laying waste to the Trojans. After Troy, we depart for Assos. Evening meal and overnight in Assos. 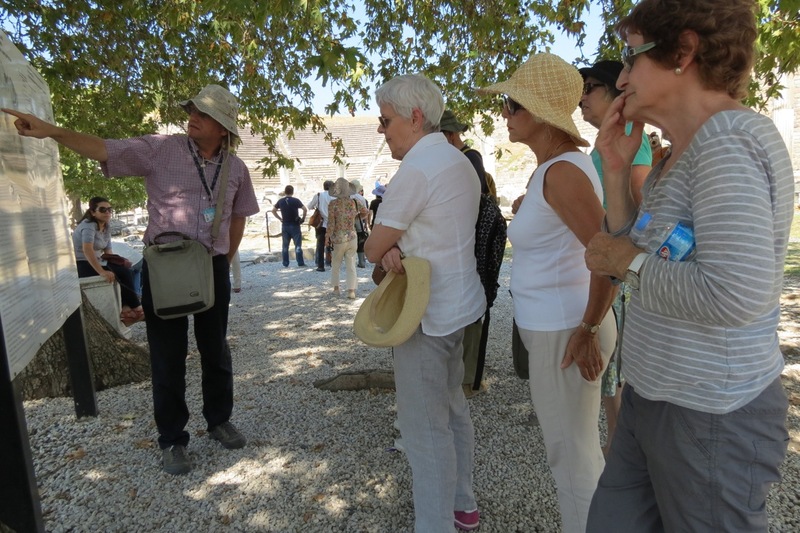 In the morning we visit the ancient city – where Aristotle opened an academy and where St Paul also stopped off on his journeys. In the afternoon there will be time to enjoy the beach and the small fishing harbour of Assos. Today we depart from Assos to travel to Pergamon. We visit the Red Basilica – another of the seven churches of the Apocolypse, before mvoing on to the ancient site of Pergamon. The library of Pergamon was renowned as one of the greatest of the ancient world. Many remians of its impressive monuments can still be seen, including the outstanding masterpiece of the Pergamon Altar. Evening meal and overnight in Pergamon. On this day we leave Pergamon and travel south to Sardes. Sardes was the capital of the ancient Lydian Kingdom and its most famous ruler was Croesus who reigned from 560BC until the city was defeated by the Persians. Thereafter Sardis became one of the most important satrapies in the Achaemenid Persian Empire. There are some impressive ruins remaining including the ruins of an early synagogue. After visiting the site, we head off via an impressive route across the mountains. Lunch is in a charming Turkish village. Evening meal and overnight in Şirince. 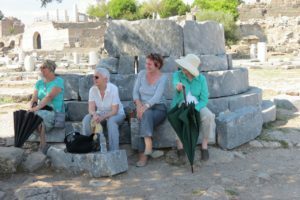 Today we visit three important sites from the world of Ancient Greece. Miletus was once an important port on the mouth of the River Meander whilst Didyma was the site of the Temple of Apollo and was the location of one of the most revered oracles of the ancient world. 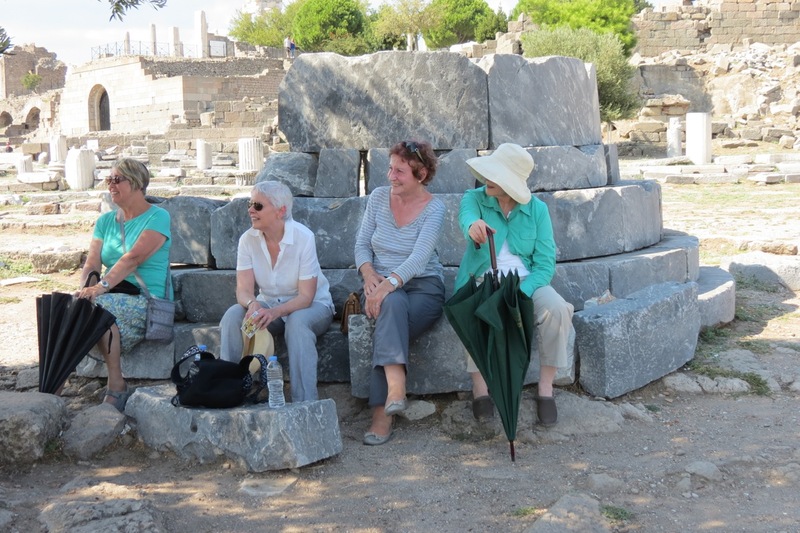 We also visit Priene. Today we travel to Aphrodisias – perhaps one of the most charming of all classical sites in Western Turkey. 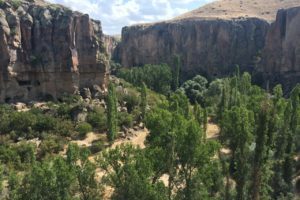 Among acres of poplar trees and acanthus shrubs, there are marble ruins in abundance and there is also an extraordinary museum of classical artefacts. Ephesus is surely one of the most extensive and fascinating sites in Turkey and we spend all day visiting it. Once the commercial centre of the ancient world, much of what we see here dates from Roman times. 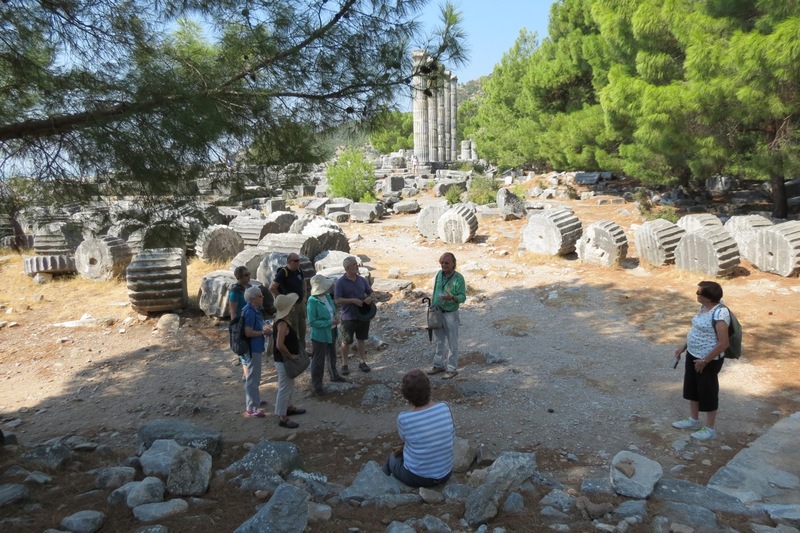 After walking the Arcadian way, visiting the theatre and the temple of Artemis, we will also visit the remains of St John’s Basilica and the nearby Selçuk fortress. In the afternoon, we travel to Alaçati. Evening meal and overnight in Alaçati. 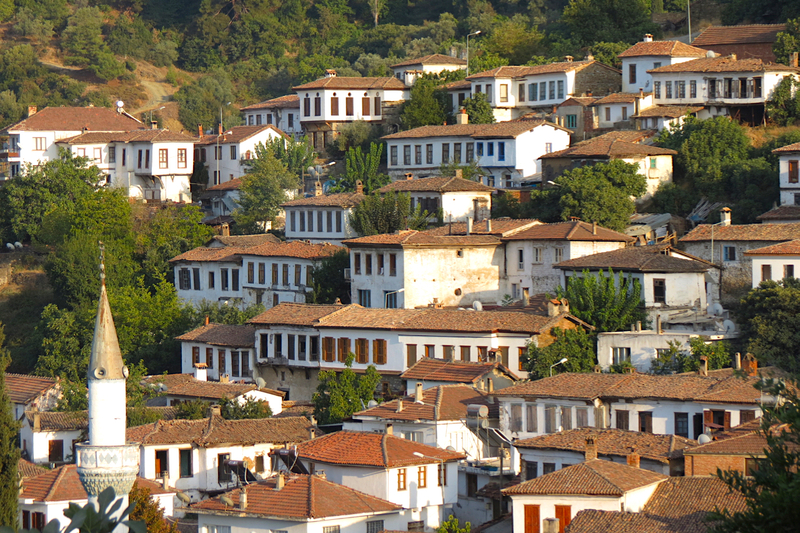 Free day to relax in the architecturally stunning old Greek village of Alaçatı. There is plenty of opportunity here for last minute souvenir shopping or to while away the time at one of the many cafes or bars. Evening meal and overnight near Alaçatı. Departure from Izmir airport and tour end.